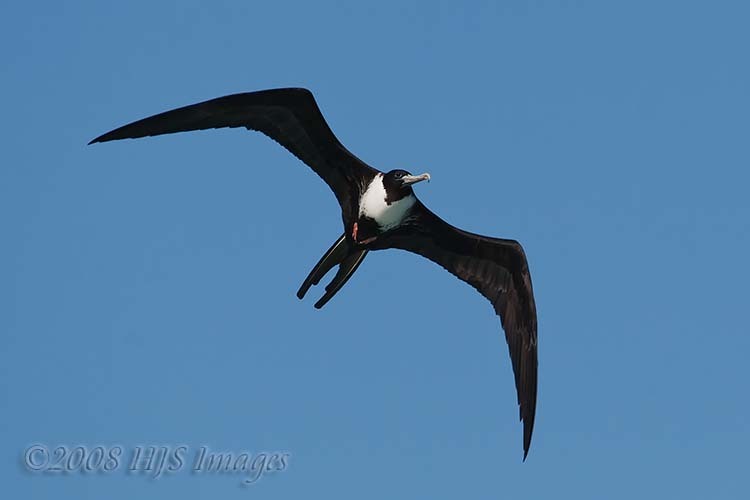 Female Magnificant Frigate Bird. These birds never land on water, and always take their food items in flight. Silent in flight they make rattling noises when they nest.